Printing postcards are cost-effective and one of the most efficient and successful ways to increase sales and customers quickly and easily. 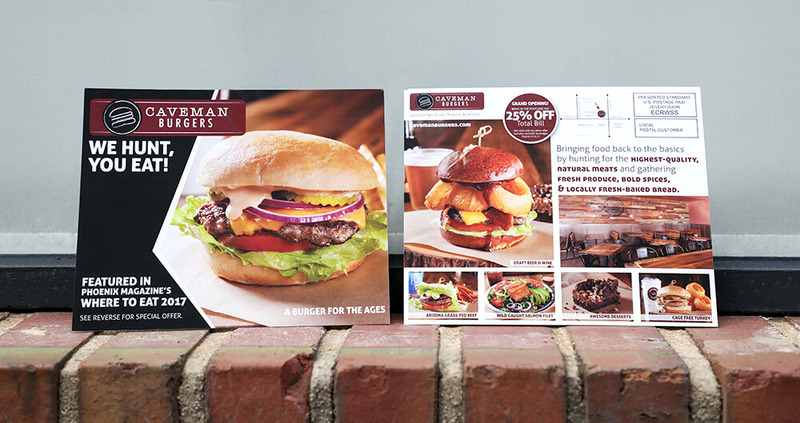 Postcard marketing is one of the most reliable marketing method available when designed and carried out properly. Below we have listed some ideas that can help promote your products, service, and business effectively. Printing postcards continue to be an amazing marketing tool as you can easily send them to an audience of potential customers that are likely to attend the event. Similar to flyers, they can include the benefits of attending and additional event details. For example, you may want to include a contest or a list of door prizes to help increase event awareness and increase participation. The benefits of choosing one are that you have the option to select from a variety of poster sizes and printing options to meet you and your business needs. It’s easy to create an urgency to attract customers to make a purchase within a defined time period. Handing them out often keeps the products and sale on their mind. Choose a one time service or product that you can offer at a discounted price to your customers. Include terms such as “One Day Only” and “This Weekend” or “10% Off” can create the urgency and something the customers can’t refuse! This may help with attracting new customers. SEE ALSO: Why Print is Important for Your Marketing Plan? One great benefit is that you can easily test offers to determine which work best for you and your business. If you are satisfied with the results, you can increase the amount that you’ll need to be printed. Also, try different sizes and printing options (spot UV, inline foil) as they may work better than others. Along with promoting a business or product, they can be used for birthdays, graduations, save-the-dates, and holiday greeting cards. An example would send out a holiday greeting card with a special offer or service. The opportunities are endless, and it’s easy to get creative with postcards. Another idea is to include a special or gift for a milestone event, birthday or anniversary. They can be beneficial; learn other ways on how to market your business with postcards. 25% of people who receive custom postcard say they read them. 23% of individuals will respond to a postcard. We offer a large selection of printing options and sizes. If you need help with a custom design, one of our in-house graphic designers will be happy to help.